Vancouver, B.C. (FSCwire) - Saville Resources Inc. (TSXv: SRE, FSE: S0J) (the “Company” or “Saville”) is pleased to report that it has completed and filed, in accordance with National Instrument 43-101 (“NI 43-101”), a Technical Report on the Niobium Claim Group Property (the “Property”). The Technical Report provides a concise overview of the Property and its exploration potential and may be accessed through the System for Electronic Document Analysis and Retrieval (SEDAR) at www.sedar.com. The Property is under Exploration Earn-in Agreement (the “Agreement”) from Commerce Resources Corp., whereby the Company may earn up to a 75% interest, subject to certain terms and conditions including TSX Venture Exchange Approval (see news release dated January 11, 2018). The Company also reports that subsequently, the Agreement was amended to include, within the original terms and conditions, a further five (5) claims, bringing the total Property land position to 26 claims (1,223 ha). The new claims cover additional niobium-tantalum targets in the Miranna and Southeast areas as well the target area known as the “Star Trench”, which was not included in the original Agreement. A map outlining the land position is available at http://savilleres.com/assets/Map-Fig4-ClaimMap.pdf. The Southeast Area is the most advanced prospect on the Property with drill intercepts including 0.82% Nb2O5 over 21.9 m and 1.09% Nb2O5 over 5.8 m in drill holes EC10-033 and 040, respectively. These strongly mineralized intercepts have yet to be followed-up and, along with Miranna, are high-priority exploration targets for the Company. The drilling at the Star Trench Area, completed in 2008 and 2010 by Commerce Resources Corp, has returned some of the strongest tantalum drill intercepts to date on the Property, including 454 ppm Ta2O5 over 7.8 m and 632 ppm Ta2O5 over 3.8 m in drill hole EC08-025. These drill intercepts, also associated with moderate niobium and strong phosphate mineralization, were returned from relatively shallow depths (<50 m core length) with only limited follow-up drilling completed. This follow-up drilling, completed in 2010, consisted of three (3) drill holes totalling 494 m and returned some of the highest-grade individual core samples collected to date on the Property, including 1.69% Nb2O5, 2,220 ppm Ta2O5, and 20.5% P2O5 over 0.3 m (sample 84321). The Company is currently in the late stages of planning a fall surface program on the Property, consisting of prospecting and rock sampling, and a ground magnetic survey to further delineate the mineralized horizon. The work is being completed by Dahrouge Geological Consulting Ltd. with the primary objective of the program to further refine drill hole locations ahead of drilling planned for the first half of 2019. The Company’s principal asset is the Niobium-Claim Group Property, currently under Earn-In Agreement from Commerce Resources Corp. for up to a 75% interest. The Property consists of 26 contiguous mineral claims, encompassing an area of approximately 1,223 hectares, and is considered highly prospective for niobium and tantalum. The Property includes portions of the high-priority, and drill ready, Miranna Target where prior boulder sampling in the area has returned 5.9% Nb2O5 and 1,220 ppm Ta2O5, as well as the Northwest and Southeast areas where previous drilling has returned wide intercepts of mineralization, including 0.61% Nb2O5 12.0 m (EC08-008) and 0.82% Nb2O5 over 21.9 m (EC08-033), respectively. 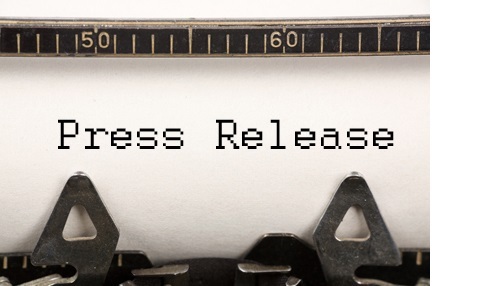 This news release may contain forward-looking information and is subject to a variety of risks and uncertainties and other factors that could cause actual events or results to differ from those projected in the forward-looking statements. Forward-looking information is based on the opinions and estimates of management and its consultants at the date the information is given. It is subject to a variety of risks and uncertainties and other factors that could cause actual events or results to differ materially from those projected in the forward-looking information. Information is based on reasonable assumptions. Forward-looking statements address future events and conditions and therefore involve inherent risks and uncertainties. Actual results may differ materially from those currently anticipated in such statements. The forward-looking information contained herein is given as of the date hereof and the Company assumes no responsibility to update or revise such information to reflect new events or circumstances, except as required by law.